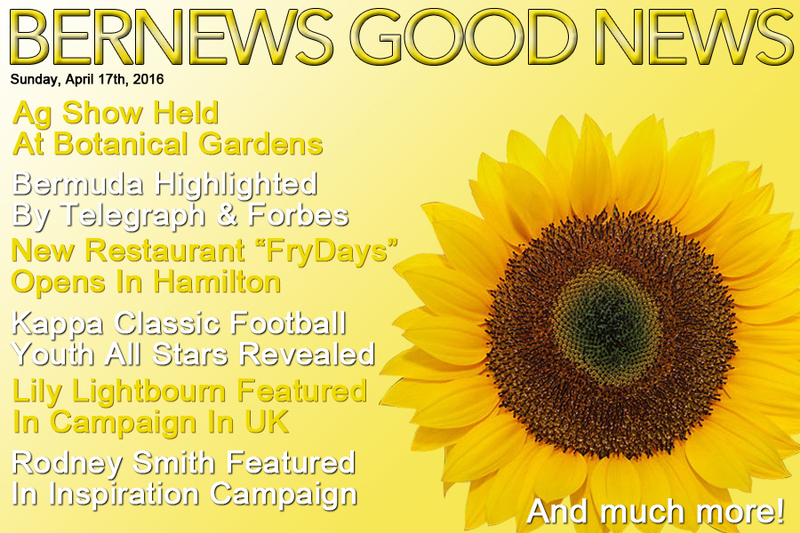 News that a new restaurant named FryDays opened in Hamilton, Bermuda was featured in international publications The Telegraph and Forbes, and Bermudian Rodney Smith was highlighted in an inspirational campaign following his charitable work in Alabama were all some of the positive news stories from the past week. Other good news stories included teenager Isa Trott being praised for stepping up to help a senior citizen who was short of cash at the checkout counter, Coco Reef Bermuda being featured in the latest issue of ‘Travel Trade Gazette,’ 8-year-old Aaliyah Haffar being named the CP ‘Member Of Month,’ and the all-stars from the 2016 Kappa Classic being revealed. In addition, Red Bull Team BDA member Mackenzie Cooper helped his St. Mary’s College of Maryland sailing team earn a berth at the Intercollegiate College Sailing Association Team Racing National Championship, both Nahki Wells and Reggie Lambe scored for their professional teams, and a leading UK retailer showcased Bermudian model Lily Lightbourn. We also posted various community photo galleries, including multiple galleries of the Ag Show, Robin Hood winning the Corona League title, Tokio Millennium employees giving back to the community, the Ludwig Cann 5K Road Race, a St John Ambulance cocktail reception, cruise ships in the East End, the Hill Valley Association providing a free lunch to students at Dalton E. Tucker Primary School, the Fire Service Promotion Ceremony, the City Street Food Festival in Hamilton, as well as multiple galleries of the Butterfield Bermuda Grand Prix.